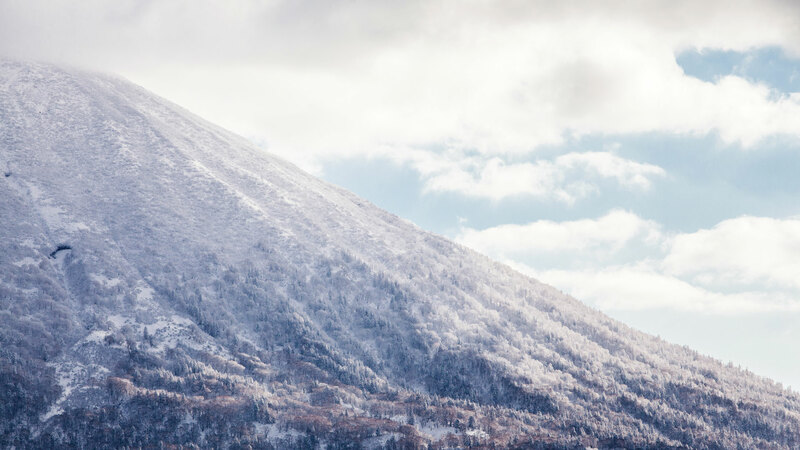 Mt Yotei is arguably the most iconic part of the Niseko landscape, and was formed about 10,000 years ago by a constantly shifting volcanic landscape. At a staggering 1,898m above sea level, it towers above the surrounding vista. This volcanic mountain last erupted from its peak around 5000–6000 years ago, helping to shape the current landscape. Around 3000 years ago, it erupted from its base, forming a small lake now called “Hangetsu-ko”, which translates to “Half Moon Lake”. Hangetsu-ko is a short walk from the main car park area at the base of Mt Yotei, and is achievable for hikers of any level. At its apex, Yotei has a large crater formed by the earlier explosive eruption, which is about 140m deep. For most people that hike Yotei, the goal is to reach the summit, make the descent into the crater, and then hike out again. Mt Yotei is often called “Ezo Fuji” due to its resemblance to the more famous Mt Fuji in Honshu. In the local Ainu language, it is called “Machine Shiri”, meaning “Female Mountain”. 100 years ago, Japanese people named it “Shiribeshi Yama” (後方羊蹄山) with the kanji translating to “The backside of Yotei”. Locals decided that the name was too similar to another nearby mountain known as “Shiribetsu Dake”, so the name was shortened simply to “Yotei” (羊蹄), which comes from the kanji that formed the original name of “Shiribeshi Yama”. 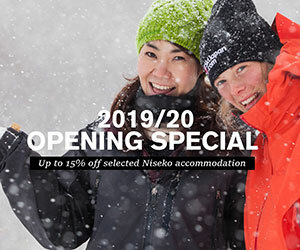 I wanted to experience Yotei myself, so I joined Kentaro Hayashi and Sam Cadbury from NAC (Niseko Adventure Centre) for a hike up Niseko’s most famous mountain. 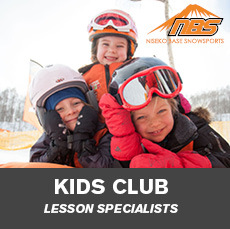 NAC has been operating for over 20 years in Niseko, and has some of the most passionate guides in the area. The NAC building also has a rock-climbing area to keep fit when the weather is bad, and a large café. 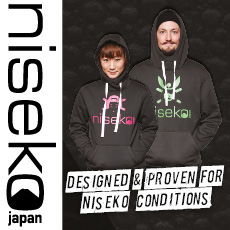 Hiking mountains in Niseko, or anywhere for that matter, is not without its dangers. There is always the risk of avalanche, as well as cracks, geothermic holes in the snow, and giant pillows of snow and ice falling from trees. Mt Yotei carries an especially high risk for avalanches because of its conical shape, and the lack of snow anchorage above the tree line. Most of the volcano is avalanche prone terrain, and the general risk can be quite high. That said, there are many ways to mitigate the risk while hiking. 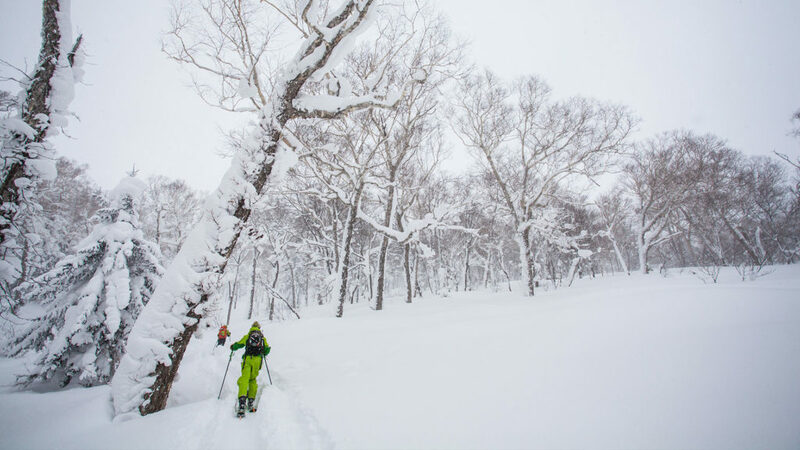 NAC guide, Kentaro Hayashi, believes that one of the best ways to improve safety in backcountry areas in Hokkaido is the collection and sharing of snow pack and avalanche information. Kentaro will check the snowpack often and report his findings to the website, “Japan Avalanche Network” along with other local Japanese guides. Kentaro says the information shared is very valuable, but because it is in Japanese only it can be very difficult for foreigners to access. While Kentaro translates all of his own reports into English, many other guides and volunteers who provide info online do not speak English and cannot translate their findings. Kentaro hopes that one day the “Japan Avalanche Network” will receive funding so that avalanche information can be accessed by all visitors to Japan, improving the levels of safety for everyone in backcountry areas. 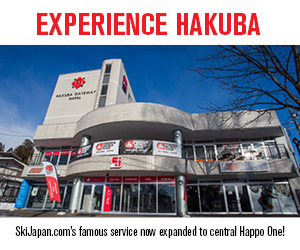 We start the day by meeting at the NAC building in Hirafu (just down the road from Lawson) at around 8am. I meet the guides, Kentaro and Sam, and Kentaro points out our route on a topographic map, checks the current weather reports and then packs his backpack with all the necessary equipment for hiking. Hr includes ropes and rescue equipment as well as the all-important shovel and probe. We then make sure that our beacons are all turned on and working before we leave the building. Kentaro chooses the Makkari course which is south-east of Yotei. This course is considered the easiest for ski touring and split-boarding because of the gentle incline. When we arrive at the base of Yotei in Makkari, there are many other hikers, both Japanese and foreign, all excitedly readying themselves and their gear for the ascent. I prepare my split-board and attach climbing skins, and after a few minutes, we set off up the hill. There is a break in the clouds and the sun shines down on us from behind as we approach the mountain. I look up in hopes of seeing the peak above us, but in typical fashion, Yotei is completely shrouded in clouds. We make quick progress as the trail has already been broken in by previous adventurers. The climb is very gentle for the first 5 minutes as we make our way through the Makkari campsite till we get to the tree line. A large sign welcomes us to the Yotei forest, and we make our way in. The atmosphere is calm and has an ancient feel about it: Large trees felled by storms or old-age lay about the forest floor as snowflakes float silently down through the canopy. There is only a gentle breeze at the current elevation, but Kentaro says that we are currently protected by the ridges and that the wind will be much stronger as we climb higher. The pace set by the lead guide Kentaro was actually quite pleasant and reasonable. There was absolutely no need to rush, I realised, so I was able to fully appreciate the environment around me. From time to time I would stop when a gust of wind came through, just to listen for the whistle through the trees and enjoy the natural ambience. For me, that was the best part. We climbed for around another 2 hours before we had a short break, during which the guides Kentaro and Sam practiced pitching a snow shelter, and digging snow test pits. It was interesting to see the methods for snow testing. A pit about 1.5 meters deep was cut, and the sides carefully shaved in order to see the separate layers in the snow pack. The guides took readings and notes for about 20 minutes before we continued our hike. We got another half-hour into the hike before the weather and wind started to pick up substantially. Kentaro made the call to ski back down. We had made it to the top of the tree line, which was quite good progress, but I was a little saddened that we could not reach the summit. Despite my disappointment, I do have a good understanding of all the risks involved, and it was definitely the right thing to do: The wind at higher altitudes on Yotei can pick up quite quickly and can be fairly strong, which can usher in rapid, and often violent changes in the weather. The three of us remove the skins from our skis, and I piece back together my split-board. I am first to drop in first into the wind-blown powder below us and put in some great turns before stopping to get some photos of the guides. The wind was strong and visibility was low, but I could tell that Kentaro and Sam had big smiles on their faces as well. It just goes to show that skiing never gets old. The descent was great fun and took us about 10 minutes for our full run. Had we hiked to the summit, we could expect a descent time of about 20–25 minutes. I really enjoyed flying through the forest, putting in deep turns and bouncing from pillow to pillow. It felt nice having appreciated the landscape on the way up so that I could shoot past it on the way down. We skied all the way back to the car, pulling up with big smiles on our faces after an experience that I’m sure I’ll never forget. ARE YOU READY TO CONQUER THE PEAK?